A cocktail and an empanada make for the perfect snack next to the Christmas tree — invite some friends to join you! The best part…you’ve made these in advance. Just walk to your freezer, pop these cuties on a tray, and bake until golden. 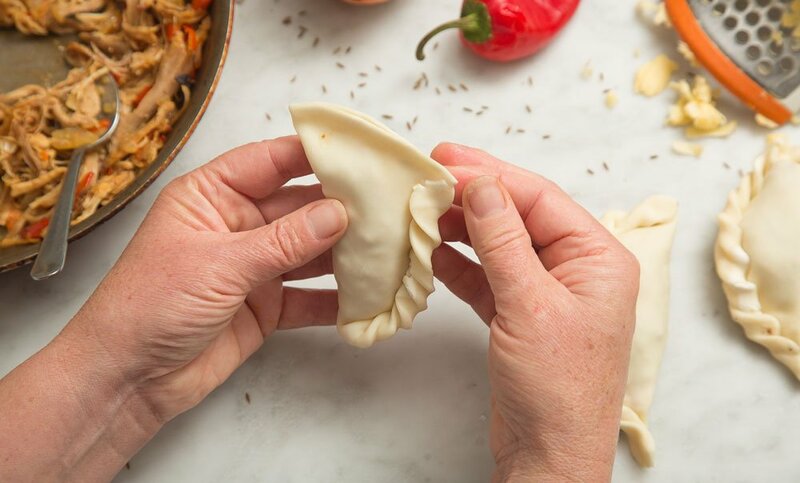 At this point, you can pop the filling in the fridge and assemble the empanadas another day (it will keep for at least a few days), or go straight to assembly. 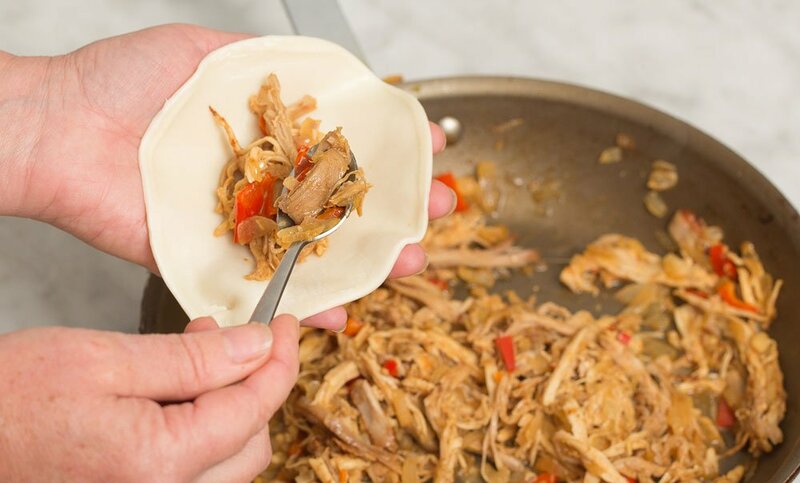 Fill the empanadas: Place an empanada wrapper in the palm your hand and add a heaping spoonful of the filling. 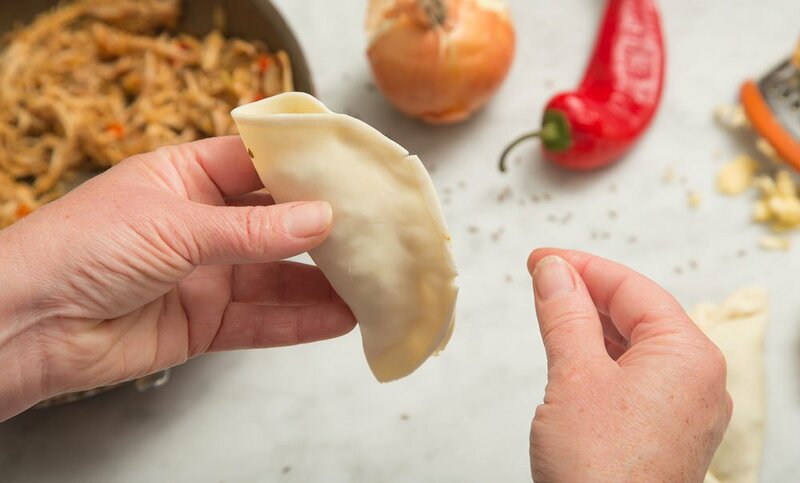 Make a cup with your hand, and pinch the empanada wrapper shut so that it completely encompasses the filling. 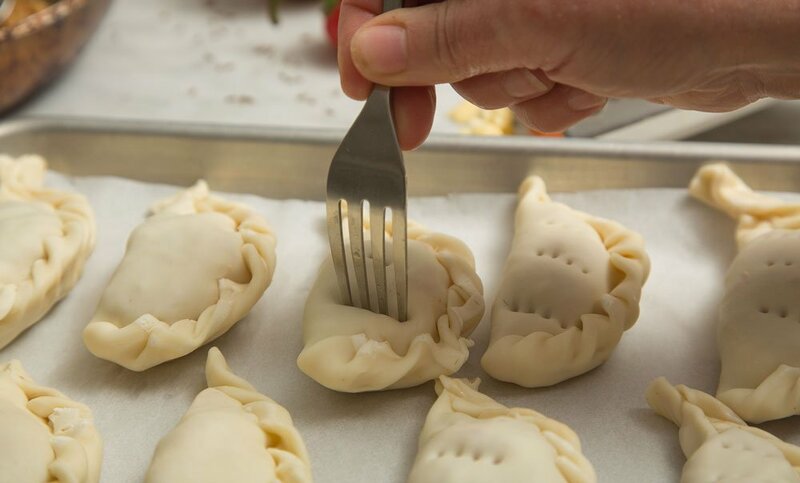 Seal the empanada with a series of “twist and pinch” moves, or use a fork to embellish. 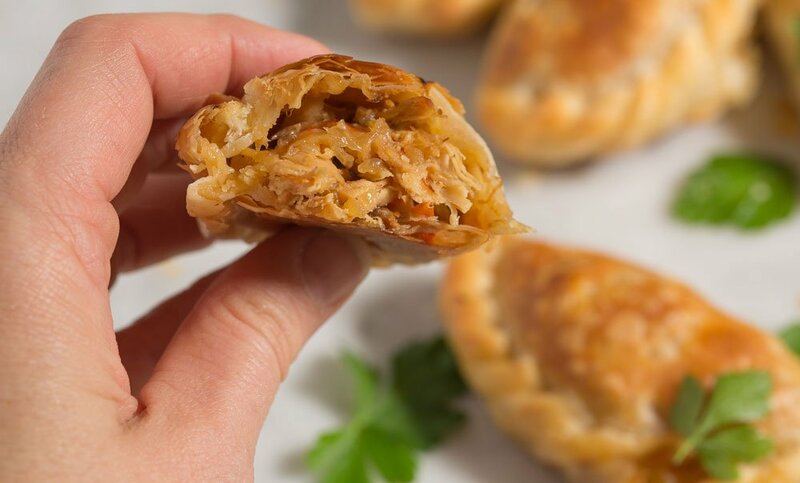 Place all the empanada-cuties on a tray, prick each with a fork, and pop into the freezer. 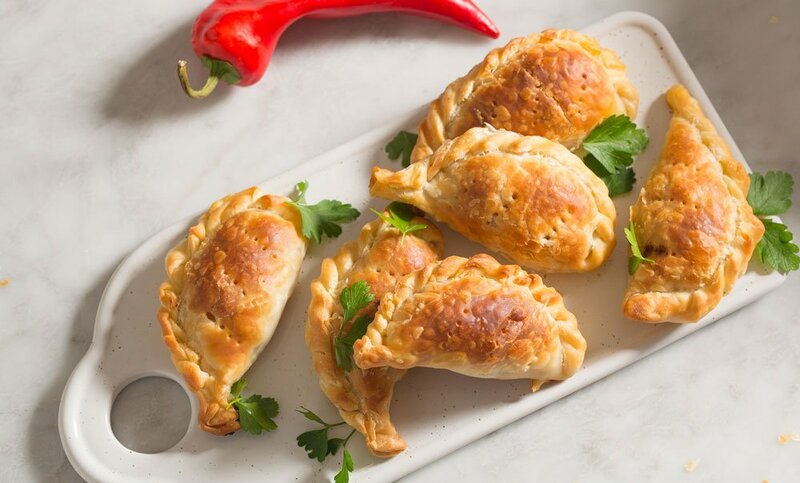 Once completely frozen, you can throw all the empanadas in a freezer bag for longer-term freezer storage. When you’re ready to dine, pre-heat your oven to 425°F. 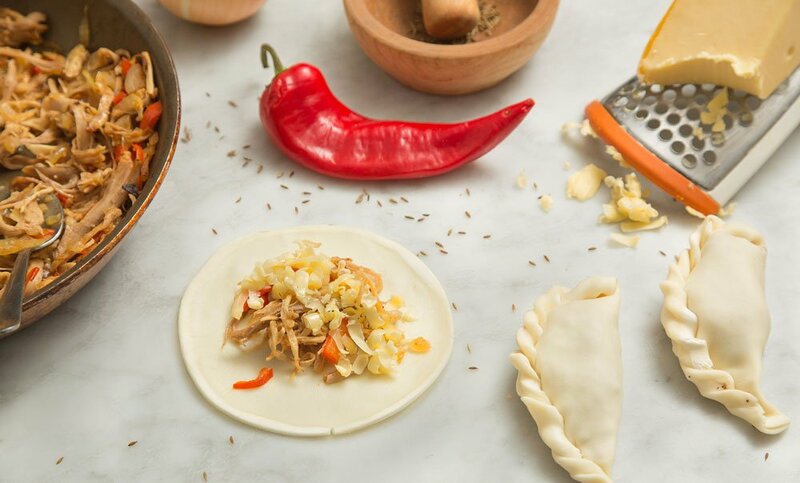 Place all the empanadas on a parchment-lined baking tray, being careful not to crowd them too closely. Bake until golden.